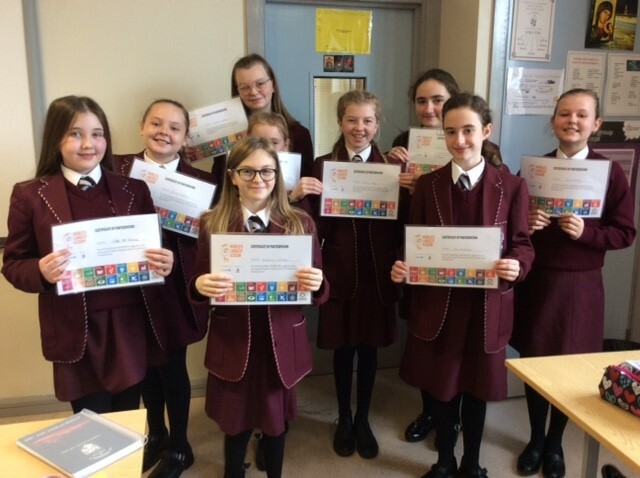 8b are pictured showing their certificates of participation in the World’s Lesson. 8b joined multiple students worldwide participating in the World’s Largest Lesson organised by the United Nations. 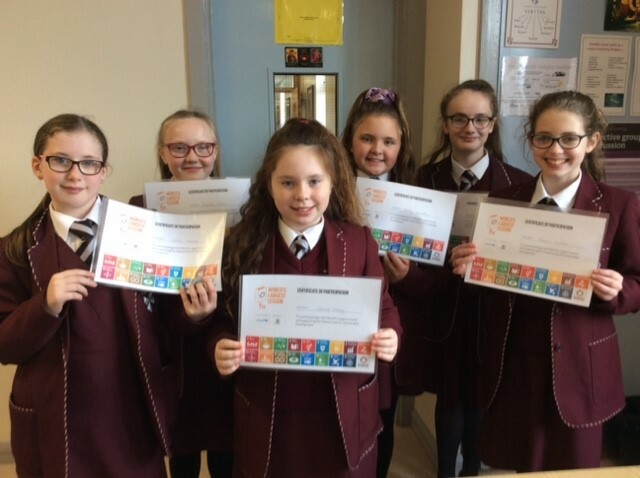 The aim is to raise pupils awareness of the 19 Global Goals which nations have signed up to. The goals reflect many of the topics pupils address in their RE classes including the right to education, gender equality, and an end to poverty and hunger. At the heart of the programme is the focus on a fairer world for all peoples. As part of the programme each student has made their own pledge to meet their chosen global goal.